A fellow long-term cancer survivor sent me the link to a Letter to the Editor she wrote that was published in The Scotsman earlier this month, highlighting kale. Her letter was edited to omit the name of and link to this blog, but pointing people to www.365DaysofKale.com was her hope. You should know that headline writers come up with the headlines, article and letter titles, and even the paragraph headers within an article, all designed to 'hook' you into an article, thus the deliberate use of the words like "cure" in the heading for this letter. How heartening to read that the Scottish Government is sponsoring research at the Aberdeen Rowett Institute into health benefits of cruciferous vegetables, including kale (your report, 5 April). Kale used to be one of the staple items of a Scottish diet, when meat was only rarely eaten by the vast majority, and yet in these years Scotland produced some of its most famous sons. I was lucky enough as a child always to have a garden, and wherever we lived kale was grown, and frequently eaten. It is a vegetable I have grown myself as an adult whenever I could, so was fascinated some years ago to come across an internet site extolling the health benefits of this humble vegetable. 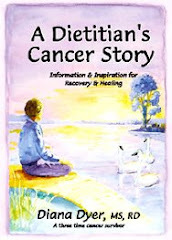 It was written by a leading dietician on diet after cancer. She said kale is one of the best foods you can eat to optimise chances of good health at any time, and especially for those who have endured cancer treatments. In fact kale used to be so prevalent in Scottish kitchen gardens that the term 'kailyard' was synonymous with a cottage garden, and the term 'kale' even simply meant 'dinner'. I saw your 365DaysofKale site and have a question for you... What are your thoughts re cabbage? I ask because I have a pup with severe COPD and just recently made the connection that the loss of an ornamental cabbage or kale plant in her rest area (a new adition to the pup family ate it all in a couple of days!) has resulted in an extreme resurgence of breathing problems for my older girl. Whatever the case... where do you believe I might be able to get these potted and fully grown plants now? I am so very anxious to get my baby more comfortable. Kale will certainly grow in deep pots. Good luck! I'm directing my readers to your website this week. I blog for a non-profit organization (Healthy Body Healthy Life) that helps military families get healthy via fitness and nutrition. This week's superfood is kale (should post on Wed) and I'm linking to your site. LOVE your recipes. I've got quite a few good ones on my site too. You should check it out! Thanks for your awesome website on kale - it's one of my favorites too!